When you hear the word “dialogue”, what immediately comes to mind? For most, we think of dialogue as having an oral exchange through conversation or discussion—the action or process of talking…communicating. In that, many of us also believe that communicating is as simple as talking. Why is it then that in talking with your boss, in having conversations with your colleagues, and in brainstorming with your team members, misunderstandings tend to show up more often than not? It was Stephen R. Covey who said, “Most people do not listen with the intent to understand; they listen with the intent to reply.” Dialogue is not about talking, discussing, brainstorming or having a conversation. Dialogue is about listening – actively listening — in a way to fully understand another — building deeper engagement, greater trust and shared comprehension. The late quantum physicist, Dr. David Bohm, understood Dialogue as something very, very different from conversation, discussion and talking – so much so that he distinguished it by using a capital “D”. For Bohm, to be in Dialogue is to seek mutual understanding, meaning and harmony. When simply talking with another, often times you will discover that you have a different observation, opinion or idea and because of that, sometimes the exchange becomes heated. These types of conversations conclude with either a frustrating stalemate or the competitive sense that there is a winner and a loser. Dialogue allows for people with diverse perspectives to discuss topics that are important and meaningful to them where all parties feel safe and respected no matter how great their differences or point of view. It creates a space where it is possible for people who strongly disagree to create an opportunity to learn from one another without feeling forced to either protect or change their point of view. As human beings, we are prone to attachment, meaning that we identify with our own worldviews. We experience our assumptions, beliefs, opinions and ideas as truths. So, when someone disagrees or challenges the “truth” with which we identify, we feel attacked. In feeling attacked, our tendency is to defend our views because a challenge to them is an implied threat to our well-being. This is why so many conversations end unproductively and discussions aimed at healing rifts so often deepen them. In everyday business, true Dialogue is uncommon; but it is not difficult to learn and can be mastered through practice. Dialogue is a practical tool that is accessible to everyone. And when dialogue is done skillfully, the results can be extraordinary. It’s important to keep in mind that Dialogue is not for every single interaction with another human being nor should its process be used in every circumstance. Yet as an approach that can be realized in every human interaction the principles of Dialogue can be considered for use in all aspects of your life – especially in business – a place where 70% of American workers are actively disengaged or feeling as if they not engaged at all. …Supercharging your business in ways that positively impact your bottom line. The underpinning of Dialogue is mindfulness. Imagine you and your staff feeling less stressed, more productive, in healthier relationships, feeling fulfilled, becoming better leaders and the valuable impact that would have for you and your firm. To discover Dialogue is to discover the powerful role that mindfulness plays in every interaction you have with shareholders, stakeholders and your clientele. Listening is critical to Dialogue and often the most overlooked tool in business. To actively listen means that you are listening with an intention to fully understand another. This brings tremendous benefits to your business, including more meaningful engagement, deeper cooperation and better communication at all levels of your organization. In Dialogue, second to actively listening, are mindsets. Mindsets matter and may just be the next competitive advantage for your organization. The way you see the world drives performance. 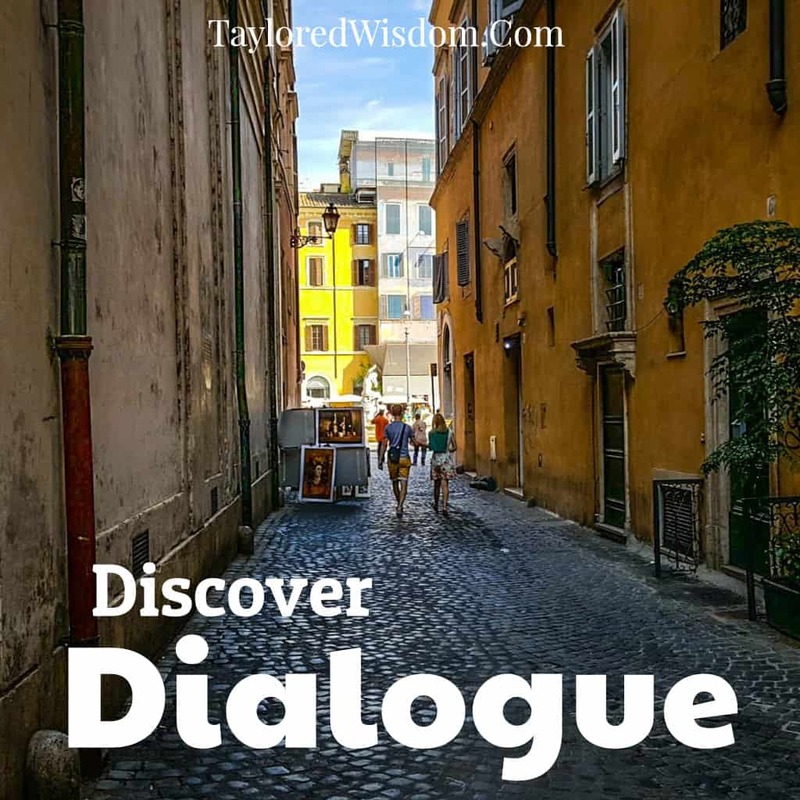 To discover Dialogue is to uncover the mindsets you hold that are either moving you away or propelling you toward your vision, goals and objectives. It is from our mindsets that assumptions are created about the people and experiences in our life and business. Assumptions are ideas and opinions that are presumed to be true without concrete evidence to support them. Based on that alone, you can see how assumptions directly contribute to the success or failure of your business. It’s important to pay attention to your assumptions, as they have a direct impact on planning, strategy and growth. As coined by the US Army War College, today’s business environment is known as a VUCA environment – one that is Volatile, Uncertain, Complex and Ambiguous. Now…more than ever, we need to discover innovative ways to embrace the unknown. Dialogue is valuable here because it helps you to become more agile by being more open to what is possible, maximizing your potential and that of your organization. Flow is about optimal performance—those moments when you, your team and your organization are in the zone—clicking on all cylinders like a well-oiled machine, fully immersed in your daily activities with energized focus. To discover Dialogue is to learn how to build more consistent coherence in your team and organization, optimizing knowledge to generate breakthrough ideas. In today’s business environment, driving forces have converged, intensifying the need for Generative Dialogue. The growth of technology and muddled boundaries are shifting relationships at all levels of business at a time when organizations are facing unprecedented change and rising complexity at a speed and intensity never experienced before. From large institutions to smaller businesses—from start-ups to solo entrepreneurs, the practice of Dialogue creates benefits that impact your bottom line. People are developed. Costs are reduced. And because people hold a shared purpose, workplaces become more engaged, efficient and effective, fostering the capacity for optimal performance. Discover Dialogue as YOUR first step towards developing, innovating and expanding your business.